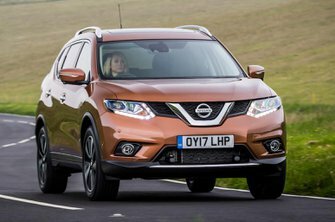 Nissan X-Trail Boot Space, Size, Seats | What Car? 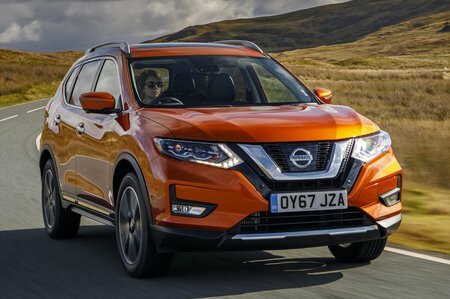 The X-Trail has a fraction less head room in the front than its key rivals, particularly if the panoramic glass sunroof is fitted (that’s standard from Acenta trim). However, it still has plenty of leg room for very tall drivers. Two fixed cupholders in the centre console hold large takeaway coffee cups quite securely. What's more, the door bins and glovebox are a good size and the deep centre cubby features a USB input, so is ideal for storing a phone. The doors open very wide and the seats are set high, making the X-Trail a good option for those with limited mobility. The middle section of the X-Trail’s second-row backrest flips down to form an armrest, complete with two fixed cupholders. The seatback also reclines for added comfort in a 60/40 split. Access is very good because the doors open to nearly 90deg. However, once inside, there’s a problem if you’ve gone for any trim bar entry-level Visia: head room. That’s because you get a panoramic roof as standard from Acenta trim; this sounds like a bonus but really it’s a pain. It zaps height to such an extent that anyone around six foot will find that their head wedged into the rooflining. It’s a shame, because leg room is pretty good. The optional third row of seats are dubbed 'occasional' and only really suit kids if you’re travelling any reasonable distance. Adults can squeeze in for short trips, but only if you slide the second row of seats forward to create a bit more leg room. For the biggest rear seats (second or third rows) in this class, you need the Kia Sorento. The second row in the X-Trail is split 60/40 rather than the more useful 40/20/40 arrangement that you get with some rivals. However, the seats do slide so you can make the boot bigger (at the expense of leg room in the second row). They also recline, so passengers there can get a bit comfier. The optional third-row seats are very easy to lift or drop flat into the boot floor. In top-spec Tekna trim, the passenger seat is part-electrically powered, but lumbar adjustment for the passenger seat isn’t available on any trim. 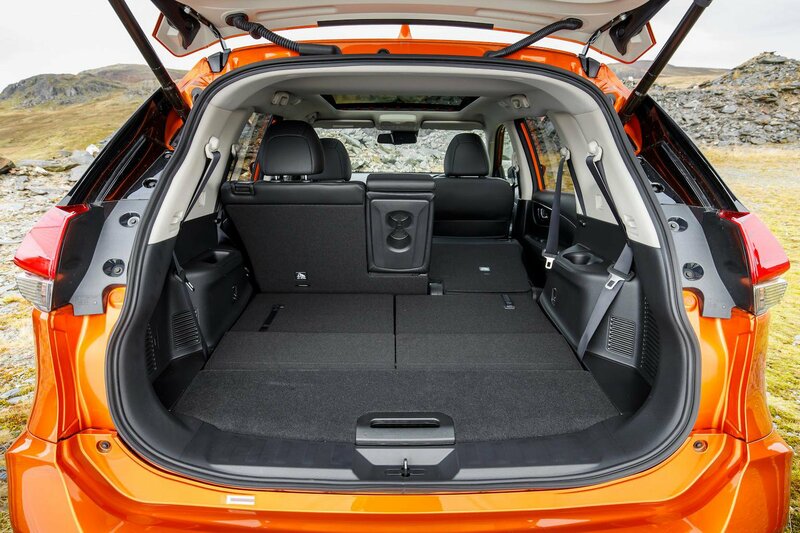 The X-Trail doesn’t have the largest boot in its class, but it’s okay – we managed to fit eight carry-on suitcases inside. This compares with nine in a Skoda Kodiaq, 10 in a Peugeot 5008 and a whopping 11 in a Sorento. If you don’t have seven seats, you do get a lot more storage under the boot floor where those seats would otherwise be. There are some nice touches, though. You can lift part of the boot floor and slot it into an upright position to form a divider that stops your shopping from sliding round. In addition, there’s no lip at the boot entrance to lift heavy items over and the extended load area is flat when you fold down the second and third row, making it easy to slide in awkward long loads such as a fridge freezer. With the third row of seats in place, there’s just room left for a few shopping bags; a child’s buggy will be a squeeze.